My sister and I were talking about the family get-together this Christmas, what all we were going to have to eat and who was bringing what and how to make it fun for everyone. We are hoping Santa will show up… she’s looking for him. One of the things we love is the new tradition tree. Each year each family will bring at least one ornament that reminds them of someone in the family. For example, one of the ornaments I have is a boy playing soccer. I am going to paint Jack and Sam on the shirt which, of course, will make the ornament represent them and their soccer playing. I have another one I am bringing but it is a big surprise, so I can’t tell you just yet what it is. Our party is December 17, so after that evening I will post pics and the ornament. It is just way way too cool! I don’t even want to think what kind of ornament the fam would pick for me. We are also going to play bingo. 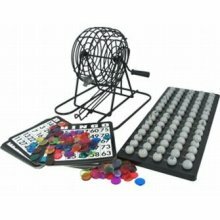 Dar has bought this neato paskeato bingo game, and we are going to round up a few prizes plus make everyone pay the big bucks for a card… a dollar maybe? But the most fun idea is the one where everyone comes up with the most memorable Christmas. I think we should all put a buck in the pot and the best story should win. It’s going to be a hoot, and hopefully everyone will be over any ill feelings they may have had from that memorable moment or maybe it will bring back such good memories we all get the fuzzies. 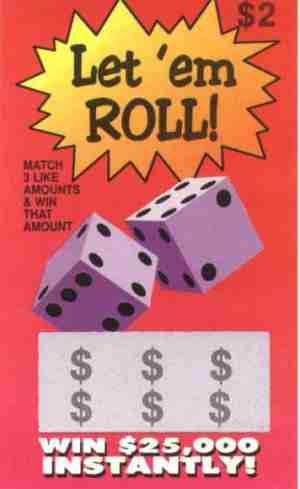 If I were guessing, Davy’s story will probably be about the year he gave his Uncle Benny a fake lottery ticket. Before I go any further, I have to clarify that we are of Scottish/Irish descent and full of mischief, albeit some not quite as funny to the recipient as it is to the purveyor of the practical jokes. Davy is a huckster as are some of my other cousins, and sometimes he can really bring out some doozies. As he did with the fake lottery ticket. As we sat around opening gifts, everyone was tense knowing Ben was getting ready to tear into a fake lottery ticket. Everyone that is but Davy. He was all pumped for the big “win.” The rest of us were sort of watching sideways, getting ready to jump up and run out of the room when Uncle Ben killed him. So the gift is open, Ben scratches off his lottery ticket, looks at it, looks again. Then gets excited! He was talking new carpet and fixing this and fixing that… and we were one by one making our way to another room. His wife, Annie, started to get excited as well until she noticed the exodus and either Dar or me or both were shaking our head no. Annie takes another look and tells Ben it’s fake, but he’s so far gone with the joy of winning some badly needed extra money (I think he had been out of work at the time) that her voice fell on deaf ears. Finally, she was able to calm him down and get him to really look at it. Oh, man, that was just sad!!!! At least Ben didn’t kill his nephew. We have been waiting ever since for the other shoe to fall. Davy keeps one eye looking over his shoulder all the time. I saw a scenario just like this one on America’s Funniest Video!!! Send in those tapes and maybe win some REAL CASH!!!! woohoo!!! I am getting all excited!!! Santa is out there, I just know he is! We need you Santa!! I remember that. I remember thinking, “How can something be so hysterical and just awful at the same time?” Hahahaha. Oh Davy. One time he came to Marty’s house and when he left he put a poopy diaper under the seat of Marty’s truck. You can just imagine. Finally, the smell was so bad 2 days later Marty had to stop and take everything out of the truck. That’s when he found the diaper. LOL! Yeah, Davy should probably sleep with one eye open with all the pranks he’s pulled!